Joe Finger teamed with Ken Dye to create Cottonwood Creek, which turned out to be one of Finger’s last design projects. This links-style course features a good amount of cottonwood trees lining the fairways, and the appropriately named Cottonwood Creek meanders through the layout. The Executive Course at Lake Waco Golf & Country Club plays only 2,705 yards and features many short holes just over 200 yards. The greens are small, making this the place for members to work on their short game. Lake Waco opened to the public in 1964, but eventually became private in 1969 after several ownership changes. 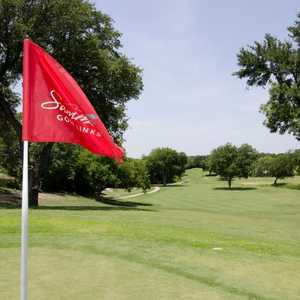 The club features a quality 18-hole track that annually hosts a qualifying tournament for the Texas State Open, as well as a nice little confidence-building executive course. Ridgewood CC, which opened in 1947 and was redesigned by Ralph Plummer in 1962, once hosted the Southwest Conference tournament. 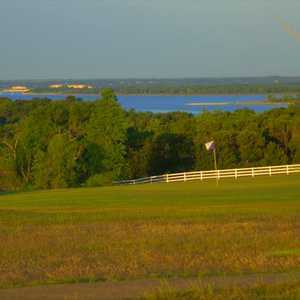 A scenic course that overlooks Lake Waco, it opens with a difficult par-4 that plays off of the side of a large hill offering a panoramic view of the water. Designed by Peter Jacobsen and Jim Hardy, Twin Rivers Golf Club weaves in and out of both forested Hill Country terrain and meadow-like open fields, offering a great variety of holes. Part of the variety lies in the potentially lengthy north-south holes that have the added flexibility of moving the tees based on the magnitude of the winds.